All buttons on the AINA accessories are mapped to specific functions that are supported by the phone or the PTT application. The main PTT is of course mapped to Sonim's PTT button on the side of the phone. The secondary PTT button as currently assignable to specific channels by apps like GroupTalk, Tassta and Zello (PTT apps that have fully integrated all AINA functions), and is mapped to the yellow, programmable button on the XP8. 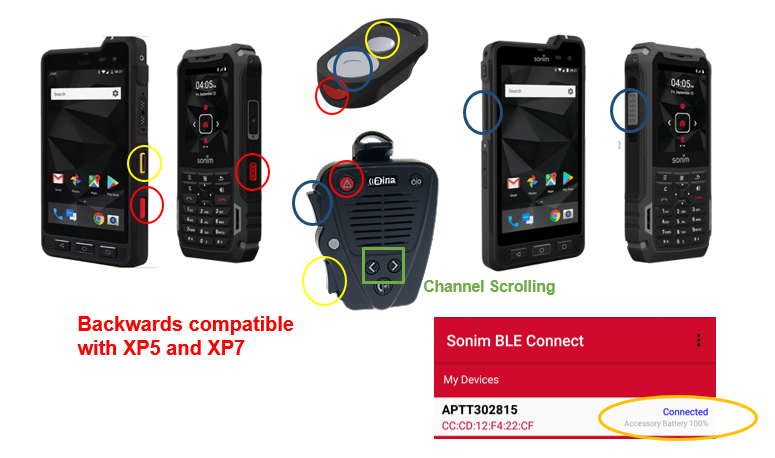 The Emergency button maps to the red button on the Sonim XP5 or XP8, a feature that is now supported by AT&T ePTT in the advanced plan but had been implemented by ESChat and StreamWide since the beginning of 2018 which also support the Channel scrolling capability. Of course, the call answer button still answers regular phone calls. 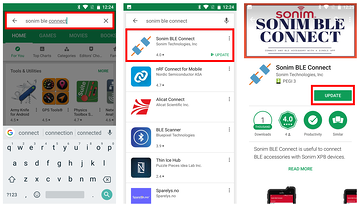 What is new and currently unique to the Sonim + AINA combo is the battery status indication. 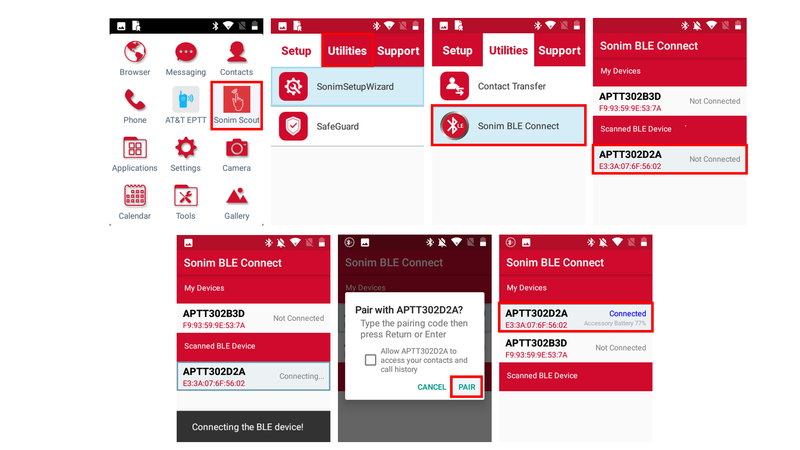 Once the AINA PTT Accessory is paired to the phone in the BLE application you will be able to see the status of the AINA battery. A good feature to have if you are about to leave the office for the day. The integration is also backwards compatible. If you are currently using XP5 and XP7 with wired or non-AINA Bluetooth accessories and these devices are failing, you would not want to buy new accessories for the old phones since they would not be compatible with the new XP5S or XP8 that you might be using soon. By slowly switching over to the AINA PTT accessories you can continue to provide accessories to your workforce today without being required to spend the money twice. The following guide shows how to pair the AINA PTT accessories to the Sonim phones.